The original Comfort-Fit Low Back Support has been top choice of medical professionals for over 20 years. Comfort-Fit Classic's neoprene and lycra design offer full mobility because of its four-way stretch. By providing maximum heat retention it offers soothing moist heat therapy for the lower back. Ranked best in overall perfomance for injury rehabilitation and injury prevention is why this one is called a classic. Comfort-Fit Cool Low Back Support is rated 4.70 out of 5 by 13. This isn't my first one I have had. I used this product for 20 years due to my back degeneration! It has been a big help. I hurt my back recently, and my chiropractor recommended I ride now only wearing a brace. This one is doing well. Took a bit to get used to. I have worn it for lessons and trail riding, and it has kept me "together" for both. I have had this kind back supporter for many many years and I have tried others but I keep going back to this one, it is worth the money and fits true to size and they last a long time. I bought it this time because I wanted a color change. 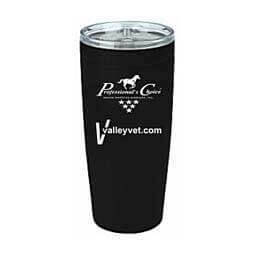 With Valley Vet's excellent customer service and fast shipping I had it in no time. Velcro wears out I wear mine for all barn chores and for horseback riding, so 4 x day, 365 days a year. Although the back brace is provides great support, this is the third one that I have had to purchase in three years because the Velcro wears out. In addition, the seam that holds the metal stays gives way and the stay slides out. I was in a full gallop going up a hill last month, moved to a half seat, and it went 'rip' as it 'popped', and went flying off. Luckily, I snagged it with one hand, held the reins with the other, and my horse didn't seem to care. That's when I ordered the next one. My husband and I each bought one; he bought his for yard work and I bought mine for barn chores and trail riding.We wear them outside our shirts. The supports are comfortable to wear and seem to help us with our chronic low back pain. This the third we have owned. I used these supports for many years while riding. Had to order a large for my husband who has come to appreciate how much this support helps his back. Great product! Best back belt ever. Have been using this brand since back surgery in 2002. You can wear this belt for hours with no pinch like a ridged belt can often do. The stretch rubber always keeps the body heat in to give a moving sauna for your back. I have recommended to several friends to try this belt, you will be glad that you did. At last some pain relief. My husband and I have both have had back injuries. He wears his to do yard work etc., and I need mine to do house work. Even standing and washing dishes is painful without this brace. I wear mine all day. This is the second one I have purchased the first one is now a spare and over 20years old, still usable. It is a great product and works well. I have the old one in my truck as a spare. I have been plagued with back problems due to injuries for several years. I never know when my back will "go out." Since purchasing this Professional Choice back support, I have worn it everyday and have confidence that it will keep me supported while I work with my horses. Very comfortable. I have already recommended it to family and friends. Years ago after a car accident I bought this back support to use when horseback riding. It served me well for years until I could again ride without it. At that point I gave it to my Father to use. After another car accident I found myself needing it again for horseback riding. It still works fine but the fit is not as good as before and it is not as comfortable as the one I had bought many years ago. The quality is just not the same!